International Finance Magazine Awards ceremony was held on November 18, 2014 in London. The best representatives of Forex industry were awarded during the gala dinner in the luxurious Jumeirah Carlton Tower hotel. InstaForex was honored Best ECN Broker in Asia 2014 by the well-known business magazine adding another title to its awards list. It the second prize gained by the broker from International Finance Magazine. The representatives of the magazine said that �the priority of InstaForex international broker is rendering high-grade investment services aimed at deriving profit from operating on the worldwide financial markets�. InstaForex remains to be a reliable partner of thousands of clients in the Asia-Pacific region where the company extends its activity from Japan to Malaysia. The IFM awards has proved again that traders choose InstaForex on the competitive market. 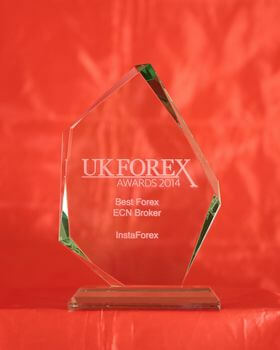 So, Best Forex ECN Broker 2014 by UK Forex Awards is a traditional achievement of InstaForex. It proves once again that the company is on the right track providing its clients with the most beneficial trading conditions and implementing cutting-edge technologies. We are glad to announce that our vast collection of awards was enriched with a new prestige trophy lifted in London this summer. 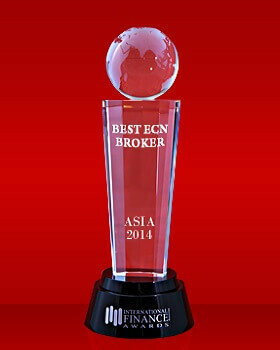 We once again secured our victory in the fierce competition for the title Best Forex ECN Broker 2014 by UK Forex Awards. We won the same award in 2013. This trophy is recognized as one of the most authoritative both in West Europe and around the world. It was created to single out the best brokerage companies on the forex market. The grand award-giving ceremony took place in Cannon Bridge Roof Gardens in the heart of the British capital. This spectacular venue is fairly considered to be perfect for gala events and large-scale business meetings. Prestige awards were distributed under 15 categories according to the results of unbiased voting. The established jury consists of professional traders and investors. International Finance Magazine Awards is one of the top-level awards in the global ratings. It was established for recognition of private citizens and organizations that contribute to the development of financial sphere and forestall top standards of innovations and productivity. 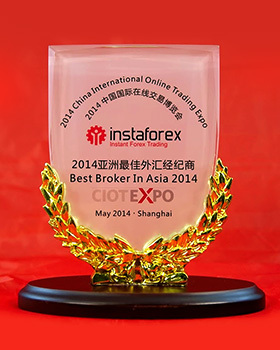 InstaForex is honored to announce that it was acknowledged as the best broker in Asia by China International Online Trading Expo (CIOT Expo), the annual financial exhibition held May 9-10 in Shanghai. Once again, InstaForex has secured its par excellence on the Asian market of brokerage companies. InstaForex has been awarded the Best Broker of Asia title 10 times. The CIOT Expo jury highlighted that year after year InstaForex affirms flawless quality and reliability of its services and products. Besides, its cutting-edge services are the most popular among forex traders in Asia. In addition, InstaForex arranges a variety of interesting campaigns attracting a large number of forex participants. So, InstaForex offers its clients the highest deposit bonuses, no deposit bonuses, weekly contests, prize draws, and luxurious car raffles. Importantly, InstaForex allocates $500,000 for the annual prize pool. Thus, the prestigious award from China International Online Trading Expo proves the superior performance of the company on the global forex market. InstaForex team is sure that in the near future services and conditions suggested by the brokerage company will be appreciated by traders from other regions, not only from Asian countries. For the first time the broker received the IAIR�s recognition in 2012. The ?ompany�s achievements in the sphere of finance reflect its aspiration for self-improvement and say for its stability, professionalism and supreme quality of the services provided. Now an extensive collection of InstaForex awards was supplemented with another international award which acknowledges the company as influential and recognizable brand. 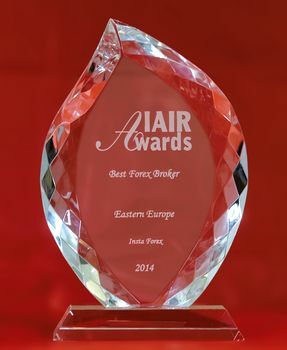 For context, IAIR Awards is one of the world�s prominent awards for progress and sustainability in global economy. IAIR is one of the leading European editions that received the patronage of the European Commission.